If you're looking for a way to give your spine a break, consider replacing your traditional purse or backpack with an AmeriBag Healthy Back Bag. As a frequent business traveler who is often on-the-go with a packed handbag, I truly love this bag. It is a great way to carry a wide variety of items while minimizing upper body stress. The AmeriBag Healthy Back Bag (HBB) offers a great way to carry a lot of gear in a way that is much more comfortable and better for your back than a traditional handbag or even a two-shoulder backpack style purse. 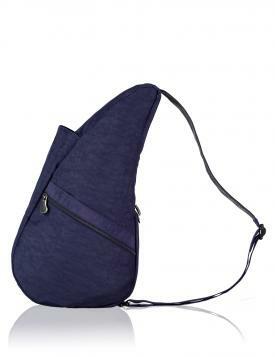 That is because this bag has a unique teardrop shape designed specifically to follow the shape of your spine. 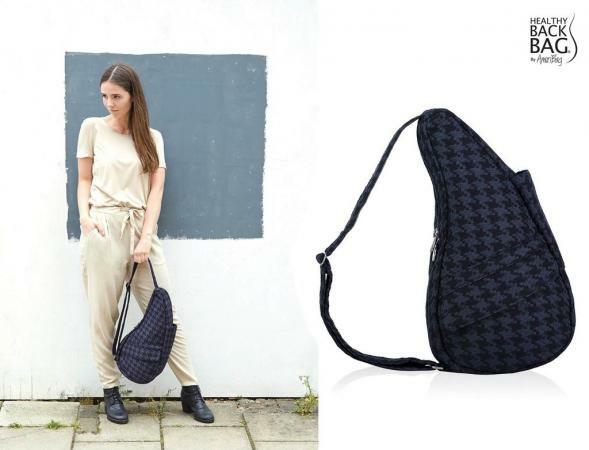 Because of this design, the bag reduces stress to your back, shoulders and neck, as compared to carrying a traditional handbag. Not only is the back more comfortable to carry than traditionally designed handbags, it is also a practical solution for carrying a wide variety of gear. Each size includes organizer pockets inside and out to help you keep track of your belongings and a clip to store your keys with easy reach. The main compartment is roomy enough to hold your wallet and a variety of other items, such as your make-up bag, a water bottle and more. Each fabric is available in a variety of different colors, from bright shades to earth tones, and even patterns. Check out the full collection at AmeriBag.com. Whether you are looking for an everyday bag or one that can get you through cross-country business trips, it would be hard to find a better option than the AmeriBag HBB. While the brand team sent me a bag at no cost to check out for review purposes, I can definitely see myself investing in an additional HBB bag (or two) to complete my handbag wardrobe. It's a terrific bag that actually helps reduce pain and boost wellness, while also looking great and providing a practical way to tote your gear. What could be better than that?